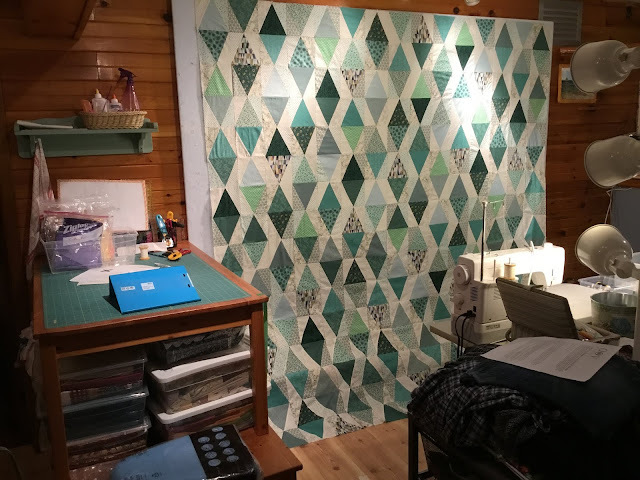 AlliKat Quilts: Triad Quilt Top Is Now In One Piece! 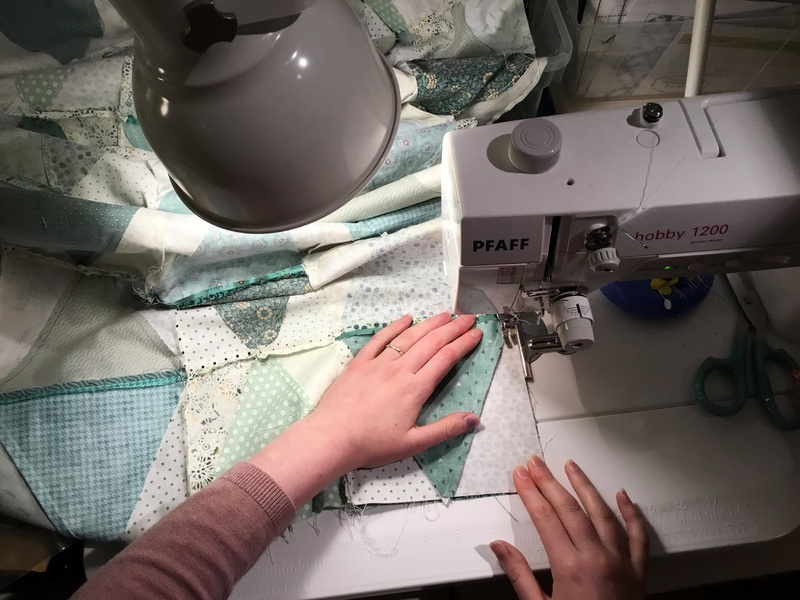 Last night Ainsley came over and we worked on the quilt for her friend's wedding again. Here is Ainsley sewing the final seam in the top. Here is a picture showing the length of it. And here is one closer in. 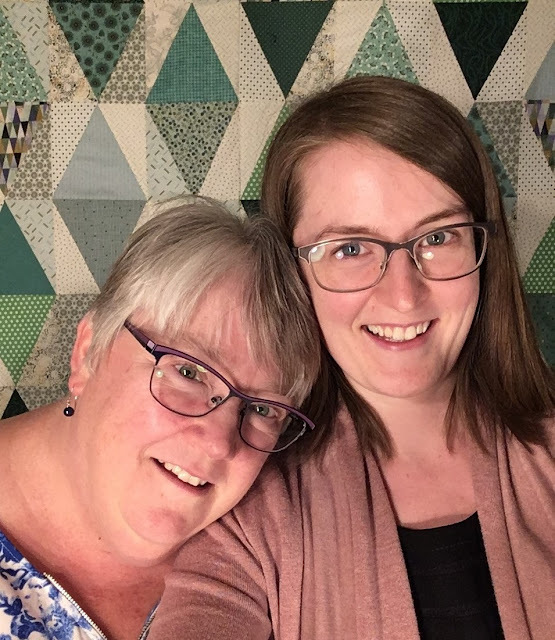 I don't normally take pictures of myself, but Ainsley insisted we should have our picture taken in front of the quilt. My husband is going to be away for the weekend running a relay race. 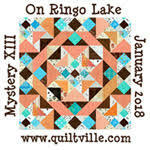 I hope to get a good chunk of the quilting done while he is gone and have the quilt bound before he starts his vacation leading into retirement next Wednesday! Linking to Crazy Mom Quilts for Finish it up Friday! I love your quilt top, the colors are awesome. It is really lovely - well done to both of you! Your flimsy is gorgeous! I love those colors especially.